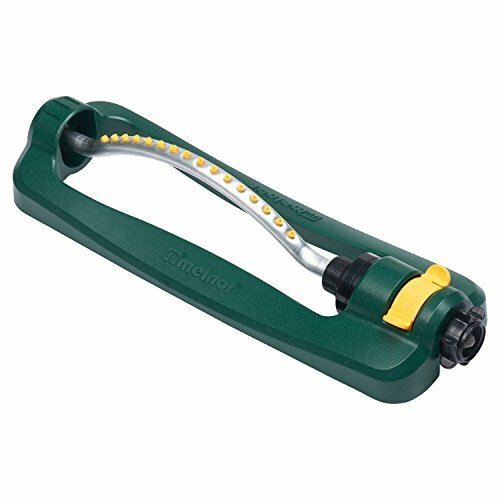 The TurboTek oscillating sprinkler provides a clog-resistant, smooth operating motor that covers a large area up to 3,200 sq. ft. Sliding tabs replace traditional hard to use knobs so you can easily adjust water exactly where you want it. The built-in water gauge lets you monitor the amount of water you use. Get precise watering from an easy to operate sprinkler that is built to last! 16 nylon nozzles with a tube covers 3, 200 sq.